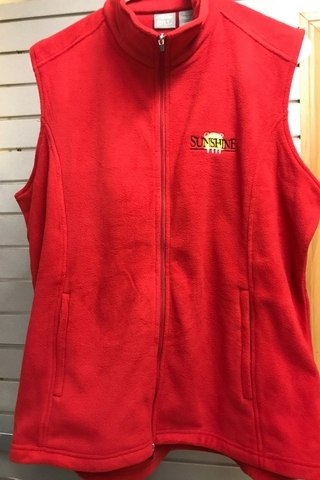 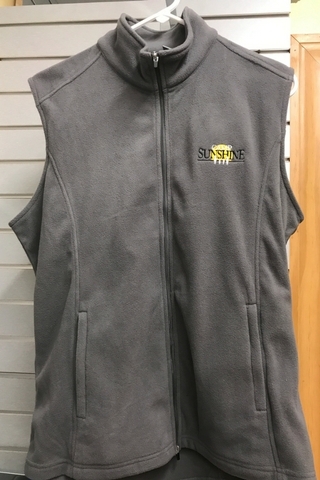 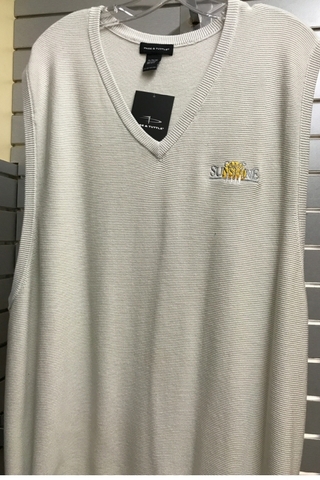 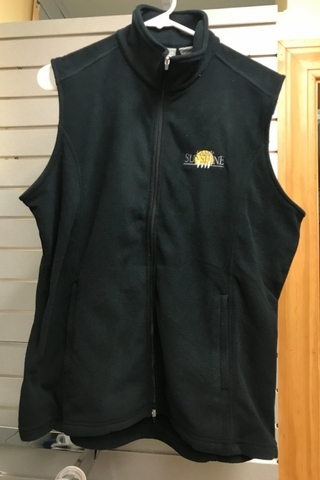 This sweater vest is 100% cotton and has a Camp Sunshine logo on the left side of its chest. 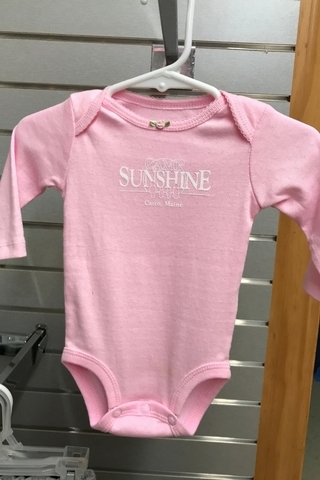 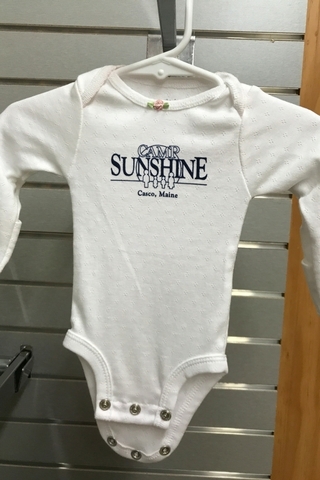 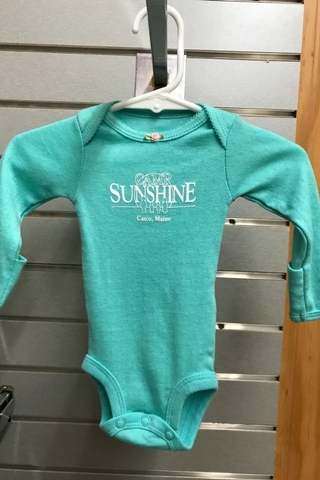 These Carter’s brand long sleeve onesies are 100% cotton. 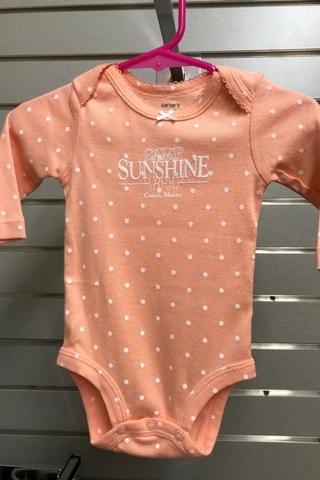 They are coral with white dots and a bow at the collar. 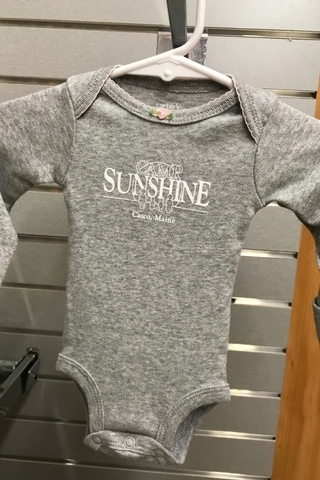 These Carter’s brand long sleeve onesies are 100% cotton. 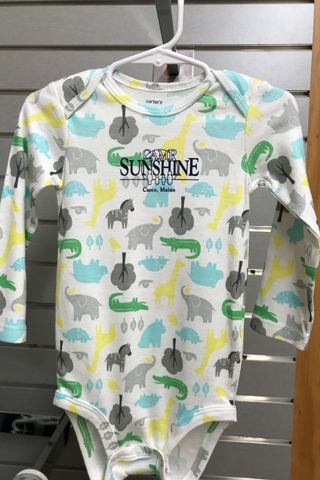 The fabric pattern has hippos, turtles, giraffes, zebras, bears, alligators, snails, bees, and trees.